OAF is The First Play in our '18-19 Season for Scamps. An original work by acclaimed physical theatre creators Wolfe Bowart and Matt Walley, artists in residence at The Scoundrel & Scamp Theatre, OAF returns due to popular demand. Go behind the scenes of a sideshow alley and into the after-hours life of a carnival’s beleaguered strongman, whose quiet demeanor couldn’t be further from the feats of strength he displays for a living. The largely word-free story weaves together clown theatre, physical comedy and finely choreographed music, light and sound effects to create a thought-provoking and sometimes hilarious theatrical piece. Audience: Best enjoyed by Scamps and Scoundrels ages 5+. Send a family to see Oaf! Resident artists Wolfe Bowart and Matt Walley, have crafted a work of phenomenal physical theater - a work that is both significant, profound AND for audiences of all ages. We believe there should be more work like this done in Tucson regularly. Please take this opportunity to support the production of Oaf, our efforts to provide a home in Tucson for physical theater, or gift a ticket to a family who otherwise may not be able to attend the production. 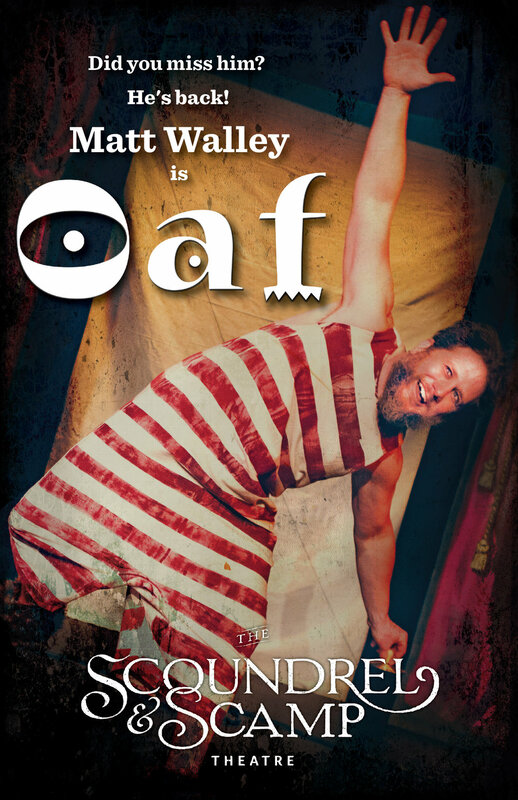 Trailer for "Oaf", an original work by Wolfe Bowart and Matt Walley, commissioned by the Scoundrel and Scamp Theatre. Physical theatre playwright and performer Wolfe Bowart is devoted to creating and presenting theatre productions that engage cross-generational audiences in theatrical experiences that evoke thought, wonder, and laughter. Under the banner of his company SpoonTree Productions, Bowart performs and tours internationally his original works The Shneedles, LaLaLuna, Letter’s End and The Man the Sea Saw. The company is a two-time Australian Helpmann Award nominee – in 2010, Letter’s End was nominated in the category of Best Touring Production following a national Australian tour encompassing 70 venues, and in 2012 The Man the Sea Saw was nominated in the category of Best Visual/ Physical Theatre Production. Bowart's productions have been seen in 20 countries worldwide. Highlights include seasons of LaLaLuna and Letter's End at the London International Mime Festival, the leading festival for contemporary visual theater, and a national tour of France. 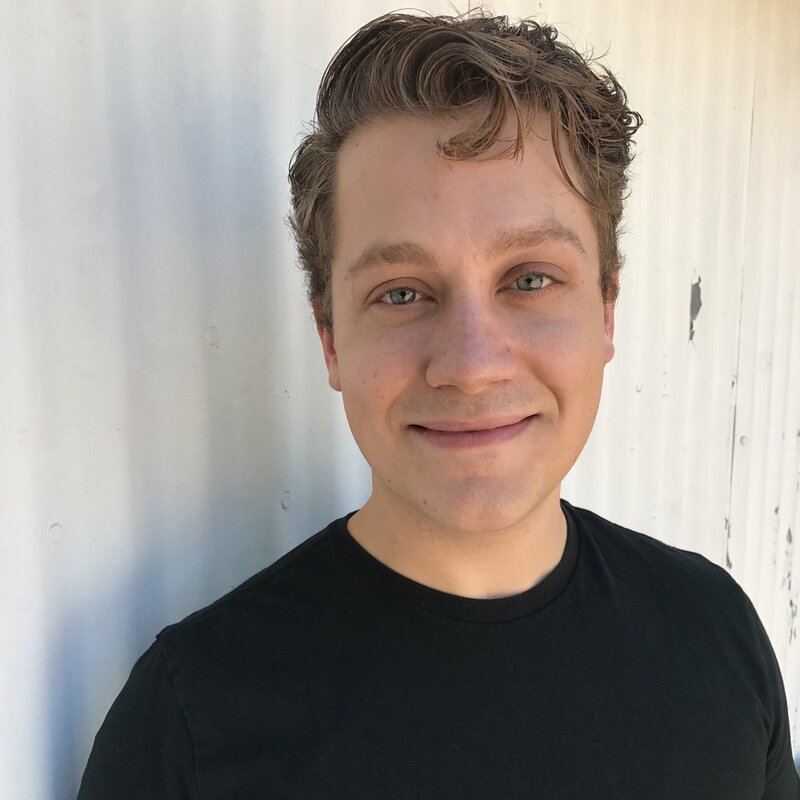 Matt Walley (Oaf) is a member of The Rogue Theatre acting ensemble and was most recently seen as Uncle John in John Steinbeck’s The Grapes of Wrath and as Georg Lenck in Bach at Leipzig. He has enjoyed previous roles at The Rogue in Macbeth, Richard III, Journey to the West, The Winter’s Tale, Shipwrecked!, As I Lay Dying, and Major Barbara. Matt is on the board of The Tucson Fringe Festival and also The Shakespeare Forum in New York City. His company, Theatre 3, created new work for Live Theatre Workshop’s late night series Etcetera including Theatrum Orbis Terrarum and Mixtape. He graduated from Dell’Arte International in 2009 with an MFA in Physical Ensemble Theatre. He has also performed with The Pinnacle Peak Pistoleros and their Wild West Stunt Shows, Stories that Soar!, and Live Theatre Workshop. Brian Graham (Light Design) is a student at the University of Arizona with a major in Theatre Production and an emphasis in Lighting Design. He has graciously worked as a light and sound tech at The Gaslight Theatre and hopes to bring his newfound knowledge to the Scoundrel and Scamp stage. Brian would like to thank his family and friends for their continued support throughout his journey and looks forward to many years in the theatre world! Tiffer Hill (Resident Stage Manager) is a Tucson native and a founding member of the Scoundrel & Scamp's staff. He stage managed every production of S&S's premiere season, as well as serving as light designer for the 2018 Tucson Fringe Festival and the Bennet TheatreLab's 2018 Festival of Plays. He started his career in theatre in 2012 at the Gaslight Theatre, working there for nearly six years including four and a half years as their resident stage manager. He would like to thank his family, friends, and his partner Gabriella for all of their support and love. Gabriella De Brequet (Production Assistant) has most recently appeared in The Scoundrel & Scamp's inaugural season in Mr. Burns, a post-electric play as Jenny, Salomé as Salomé, and in The Love Talker as The Redhead. 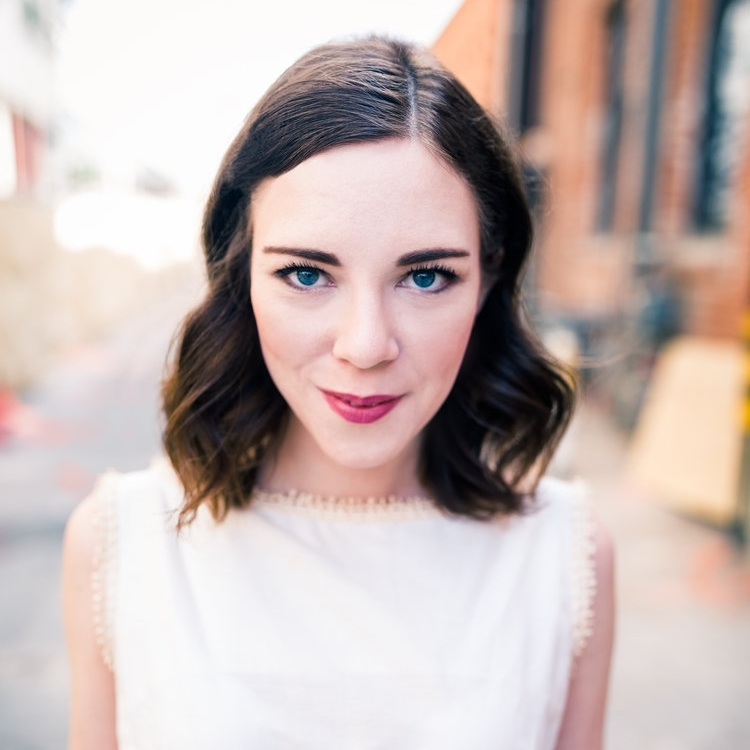 She has also appeared locally at The Rogue Theatre in Arcadia as Thomasina Coverly, Jerusalem as Tanya Crawley, The Bridge of San Luis Rey as Pepita, and Dante’s Purgatorio. Other credits include The Diary of Anne Frank as Anne Frank, The Caucasian Chalk Circle, Curtains the Musical as Niki Harris, The Jungle Book, and All Shook Up. Gabriella has studied with The Rogue Theatre in their intensive training programs with emphasis on Shakespeare, voice and movement, and impulse awareness. Gabriella would like to thank her family, friends and partner Tiffer Hill.